Tiger maple table top with stainless base. White banquette base with storage at ends with easy to care for upholstery that just snaps into place. 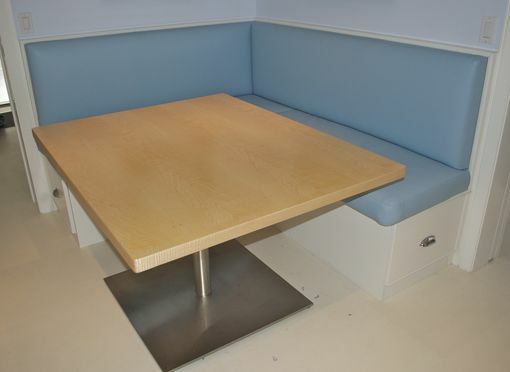 Table and banquette can be customizes to suit your needs.